Down in the depths amongst the reeds this ethereal mermaid looks on at potential danger. 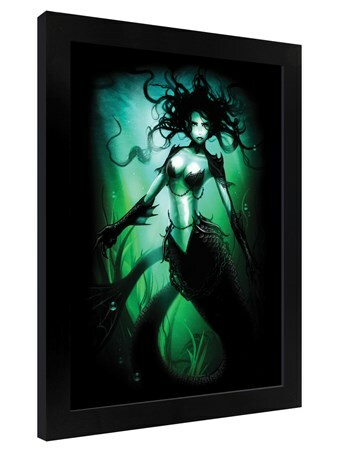 Lit up by the faint light streaming through the bottle green water, the mystical creature featuring on this framed mini poster is ideal for any fantasy art lover looking for a new twist for their collection. 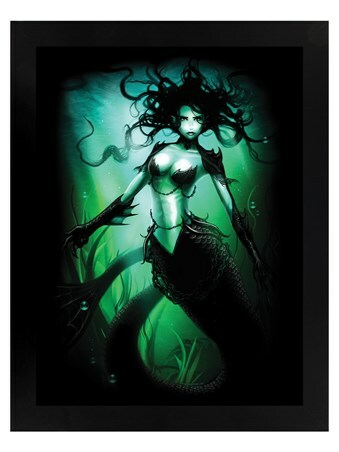 High quality, framed Ethereal Mermaid, Bottle Green Waters framed mini poster with a bespoke frame by our custom framing service.